This Pirate101 Doubloons Guide will go into much more detail on the gathering and use of doubloons, as well as an analysis of the various types of doubloons that are found throughout the Pirates101 spiral. Doubloons can only be obtained from special locked chests that either occasionally drop at the end of combat, or are found in numerous spots on the various worlds. Any chest has a chance of being a doubloon chest (also called a plunder chest). A 2 lock chest requires two pirates to open; a 4 lock chest requires four pirates. When a doubloon chest is opened, all pirates receive identical plunder. 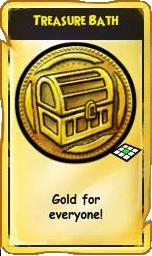 A 2 lock chest contains two doubloons, and a goodly amount of gold. A 4 lock chest contains 4 doubloons, even more (goodlier?) gold, and an auctionable piece of class specific clothing. In addition to these items, battle chests can contain no auction gear, and even crowns only gear! I have not detected any differences between the types of doubloons in 2 vs 4 lock chests, only the amount. The doubloons in a chest are heavily influenced by the classes of the pirates that open the chest. 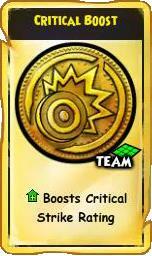 Some doubloon types are common to all classes; others are predisposed toward a single class. If you really want a particular doubloon that is not associated with your class (for example, you want a health doubloon, but are not a Privateer), make sure you bring along an appropriate friend to help you open the chest! See Part II for details on which doubloon types are associated with which pirate classes. Most doubloon types come in various levels, from level 5 to level 65, in 5 or 10 level increments. There is a limit of 20 copies of a doubloon that a pirate can carry; if you have reached the limit, additional copies are lost when you open the chest. 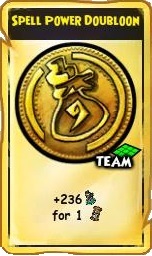 Different levels of the same type of doubloon have separate limits. For example, you can carry 20 each of Level 40 Will, Level 45 Will, and Level 50 Will doubloons. Thar be bounty here! Yar! At the end of combat, no more than one dropped chest will be a plunder chest. The chest will not have more locks than there were pirates fighting (which means that you need at least two pirates in a fight to have any shot at a doubloon chest). If three pirates were in the fight, all three get identical plunder from the chest, regardless of which two pirates actually open it. 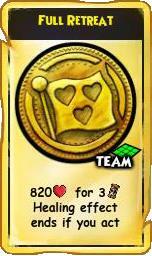 As noted above, battle chests have a chance of containing more than just doubloons and gold. 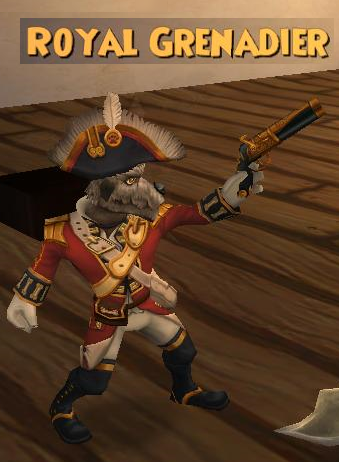 The best drop I have gotten from a two lock battle chest is 2 doubloons, gold, some auctionable Witchdoctor boots, some no auction Musketeer boots, and a crowns only eyepatch. A bounteous haul indeed! Yar! 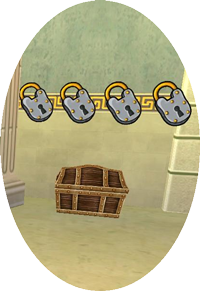 When found lying around, two lock plunder chests are more common than four lock (I estimate roughly 5x more common). Any found chest that is opened (either a doubloon chest, or a regular gold chest) will respawn after a specific time interval, and the interval will never change for a particular chest. I have observed respawn intervals of 2, 5, and 10 minutes. The locations of found chests fall into two categories: fixed (the chest always appears in the same spot), or variable (where the chest respawns in one of 2 or 3 specific spots). Skull Island has good examples of both types of chest. The chest behind Miracle Mitch’s shack is in a fixed location, and respawns on a 10 minute timer. The chest that is either next to the Spar Chamber or at the entrance to the Ancient Tunnels respawns on a 2 minute timer. Often it is more difficult to find people to help open a chest than to find the chest itself. Having many friends is a real advantage here. If you port to try and find help, be sure to note the realm that the chest was in before you jump away; sometimes porting causes you to change realms. A warning: after a while, plunder chests will turn back into regular chests! This time out is considerably longer than 10 minutes (30 minutes? An hour? ), but it does happen. I have more than once ported away from a plunder chest, only to port back a minute later and find a regular chest in its place. (I suspect that the opposite is also true: regular chests will occasionally turn into plunder chests.) So don’t be totally surprised if the four lock chest you found in some out of the way corner of a quiet realm isn’t there when you come back with enough friends to open it. 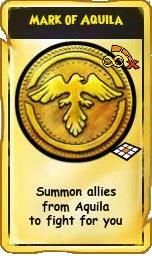 #4: Wait for doubloons to be auctionable, and buy them at the Bazaar – Currently, doubloons cannot be sold at the bazaar. It does not require great predictive powers to forecast a future game update that will change this. They can, however, be traded between pirates, so you can always negotiate with someone else to try and obtain doubloons you want. 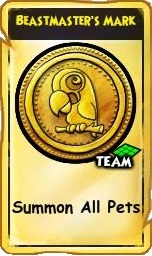 What follows is a list of all types of doubloons currently available in Pirate 101, and descriptions of what they do. 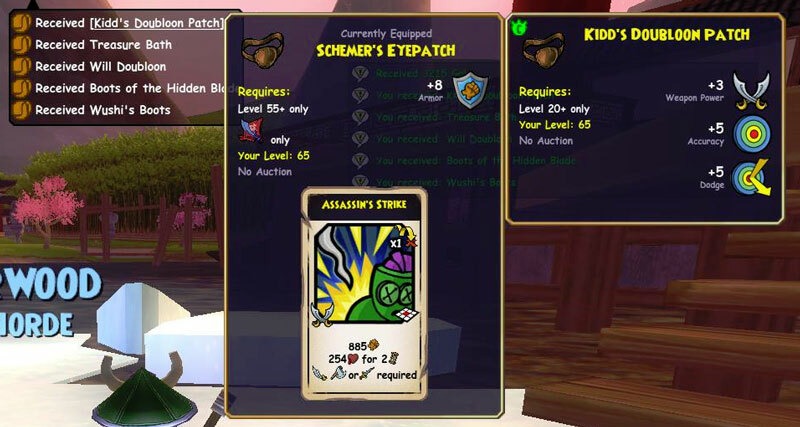 The chances of receiving some doubloon types greatly increase by having at least one pirate of the proper class open a chest (I’m tempted to replace “greatly increase by having” with “absolutely require”, but it is impossible to prove a negative). The classes associated with a type are noted under the doubloon names. 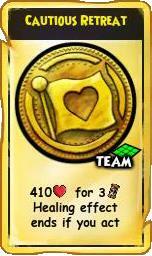 While obtaining a particular doubloon requires a certain class, using it does not. Any class or level pirate can use any doubloon. 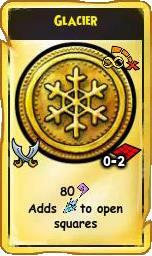 Doubloon potency is not affected by a pirate’s stats. 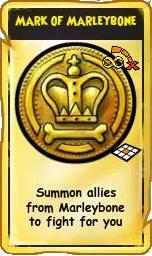 Except where noted, all doubloon effects last only 1 turn – your turn AND your opponent’s turn. I am missing some levels of some doubloons – my best guess of the missing levels is represented by blank doubloon cards. Increases the Strength, Agility, or Will value of everyone on your team. This behavior is slightly different than SAW powers, which only benefit companions that are either adjacent to the caster, or share the same primary stat. All three buffs are available in 5 level increments, and the amount of the increase is the same for all three. Increases the corresponding stat for everyone on your team. All four doubloons come in 5 level increments. Weapon Power and Spell Power provide equivalent increases for a specific level, and Accuracy and Dodge also have equal boosts. Summons a creature to help for the duration of the fight. Death doubloons are available at all 10 level increments between 5 and 75; doubloons from other worlds have specific levels. Note that the type and strength of creature is determined by the level of the doubloon, not by the world of the chest (it is possible to get Cool Ranch doubloons in Valencia, Marleybone doubloons in Aquila, etc.). 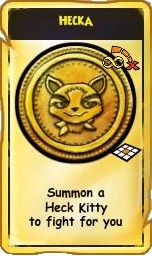 Usually the summoned creature is between 1 and 8 levels higher than the level of the doubloon, but occasionally it is less (Mooshu creatures seem to suffer from this more than others). The talents of the creatures do not vary with the level of the doubloon. 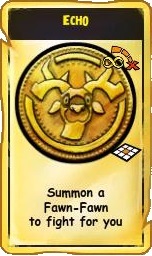 All of these doubloons randomly summon one (or more) of several possible creatures. Like pets, in PvP all summoned creatures move after red’s turn. Mooshu: 9 Ninja Pig Warriors (Swash), 5 Ninja Pig Commanders (Swash), or 1 Ninja Pig Clanlord (Swash). As you might imagine, Commanders and Clanlord are significantly more capable than a Warrior. The Commanders have a special Back Stab attack; the Clanlord has an Assassin’s Strike. Aquila: Minotaur (Buc), Orthrus (Swash), Medusa (Privy). All 3 have special abilities – the Minotaur has a special critical attack and can cast Whale’s Might, Orthrus has a brutal charge attack, and the privateer can group heal. There are also Level 0 doubloons that summon a single specific creature. Currently these doubloons are only obtainable via the Grizzly Beast Booster Pack. I’m not sure how the level of the summoned creature is determined – it might be based on the level of the summoning pirate. 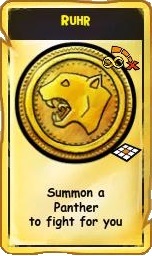 The Beastmaster’s Mark doubloon is a special case – it summons all friendly pets to the battle. Also, there is a one turn delay before the healing effect starts – it commences at the beginning of your turn after the turn the doubloon is played (so perhaps the doubloon should read “Delayed healing effect ends if you act”). During the intervening turn, your units can take any action, and not jeopardize the healing effect. This behavior seems flat wrong to me, so don’t be surprised if KI changes it at some point. 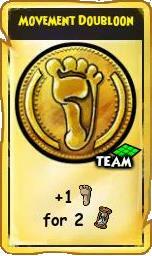 The only difference I have detected between the various Retreat doubloons is the strength of the heal. Armor and Magic Resist boost the corresponding stat, and have the same amount of boost for equal doubloon levels. 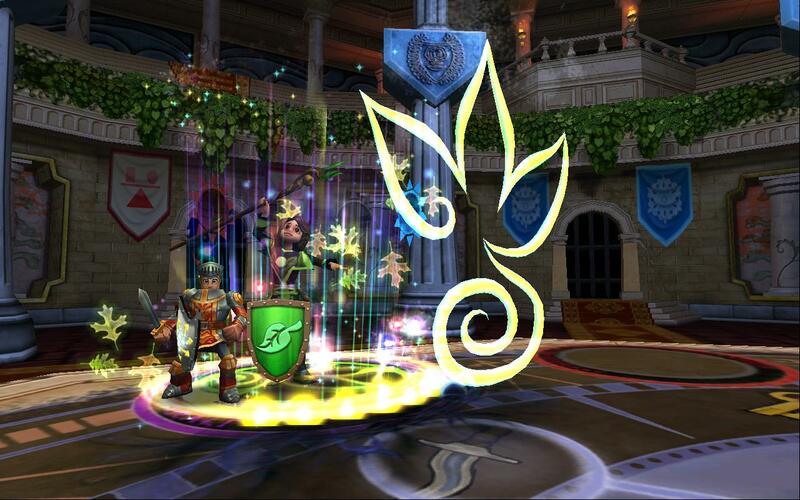 Shield Wall protects everyone on your team by absorbing a modest fixed amount of damage. Tower Shield protects a single unit on your team from significantly more damage than an equivalent level Shield Wall, but there is some random variability to the actual amount. I have seen as much as a 2x variation in the strength of the shield – from 380 to 760 for a Level 55 Tower Shield. Attacks one or more enemy units. Mojo bolt is the same at all levels; the other attack spells increase in power at higher levels. All magical attacks can critical! Volcano and Glacier attack a 3×3 area, and do the same amount of initial damage for the same level of doubloon. 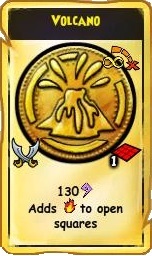 Volcano leaves fire that will do various amounts of damage (higher level doubloon = more damage) on any open squares in the attack area, and lasts 3 turns. 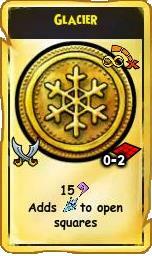 Glacier leaves ice walls (blocking movement and vision) of various degrees of strength (higher level doubloon = stronger) that last 5 turns. All units are pushed diagonally away from the caster, except those that are in the same row or column as the caster. Line Of Sight between caster and target is not required (in other words, hiding behind an obstacle will not prevent you from being pushed). However, standing in front of an obstacle will “anchor” you, and if the push takes you into an obstacle, you will stop. 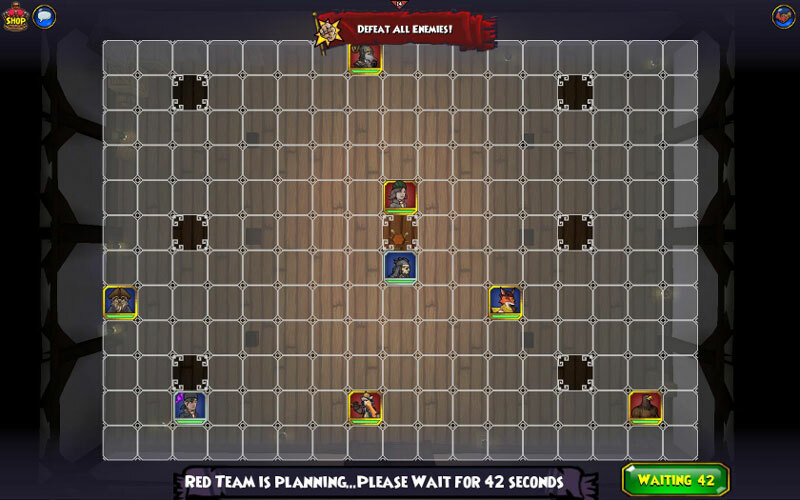 Friendly units, traps, and obstacles are not pushed. Hidden units are pushed, although they remain hidden (unless they take damage). Any bombs or traps that units are pushed through will trigger. Otherwise pushed units are not normally damaged, unless they are pushed through other friendly or enemy units. If this happens, one or both units can take minor damage (note: this means your own units can get hurt if enemy units are pushed into them). Increases movement of all friendly units. 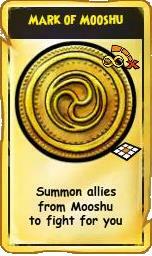 Technically this doubloon lasts for two turns, but since you can’t specify a destination square beyond your normal range on the first turn, it is really only useful on the second turn. The movement distance on the doubloon is incorrect – it is actually roughly half the number shown. Affects every unit on your team. The movement part of the Jackrabbit doubloon is useless, because it only lasts one turn. The “Bonus attack talents” granted depend on the level of the doubloon, and the class of the unit. Talents are cumulative: the level 5 doubloon gives a single talent, the level 15 doubloon gives the level 5 talent plus a second talent, level 25 gives the first two talents plus a third, and so on. Each talent granted gives the first level if the unit does not already have it, or increases the level of the talent by one. No talent can be increased beyond level 3. Buccaneers, Privateers, and Swashbucklers all get the same series of talents. An example: I have a swashbuckler with First Strike 2 and Riposte talents. I play a Level 65 Jackrabbit Ju-Ju doubloon. 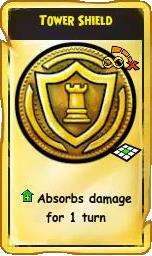 For that turn, my swash will have: First Strike 3, Repel Boarders 2, Riposte 2, Relentless, and Blade Storm. Note: The witchdoctor Intuition talent seems to be bugged. At level 45 and below (Intuition 1), nothing is displayed for the unit. At level 55+ (Intuition 2), it actually displays Quick Adjust 2. As best I can tell, it never does either Intuition (the Witch version of Quick Draw), or Jobu’s Ruse (The Witch version of Quick Adjust). Reduces the dodge of, and nullifies all of the talents on the entire enemy team. I tested: Repel Boarders/Overwatch/Readied Spell, First Strike/Quick Draw/Witch Hunter, Cheap Shot/Parting Shot, Blade Storm/Double Tap, Riposte, Vengeance Strike, Flanking, and Hold The Line. I assume that the analogous talents that I did not test (e.g., Return Fire) are similarly negated. I was unable to adequately test Relentless/Burst Fire/Mojo Echo, since they have a random chance of triggering. The talent suppression is unaffected by the level of the doubloon – all levels seem to behave the same way. Critical Boost gives each unit on your team a one turn 25% (Epic), 50% (Mega), or 75% (Super) increase in critical hit chance. It is random for each unit. 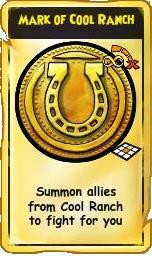 Treasure Bath creates a small pile of gold at the location of the caster, to be collected at the end of the fight. It is possible to cast Treasure Bath in PvP, but no one gets any gold from it. 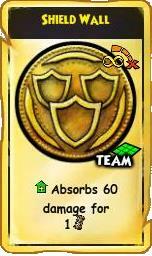 On the other hand, the Egg Timer doubloon is really only useful in PvP. 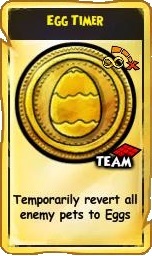 It temporarily turns all enemy pets back into eggs. Moo Manchu (at the top of Moo Manchu’s Tower) will sometimes also cast this spell. I’m not sure how long the effect lasts. When combat begins, each person will get a total number of doubloon “spaces” equal to the number of pirates on their team. These spaces will be filled with your personal doubloons (pirates don’t share 😛 ). At the start of every turn, each person on your team can play one doubloon, and can optionally discard one or more doubloons. 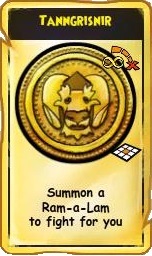 If you play a doubloon, it is gone forever. 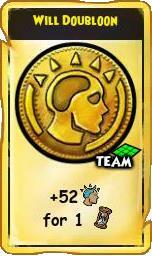 Any additional copies of that doubloon go back in your doubloon pile, and can reappear on a subsequent turn. 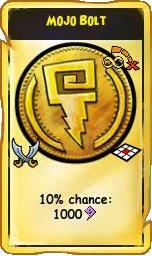 Doubloons that are discarded are gone for the duration of the combat. Doubloons that are neither played nor discarded remain in your hand for the next turn. You can continue to play one doubloon per turn for as long as the combat lasts (or until you run out of doubloons). You can only play doubloons while your pirate lives. 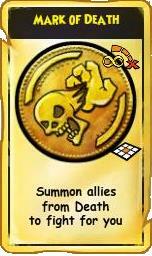 If you die, you can no longer play any doubloons, even if your companions or other pirates are still alive. If you are subsequently revived, you can begin playing doubloons again. Note to self: Don’t die. All doubloons that your team plays take effect at the start of your turn, before anything else happens. 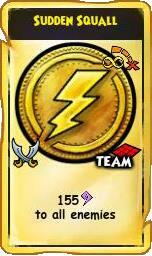 Doubloons are cumulative with powers. 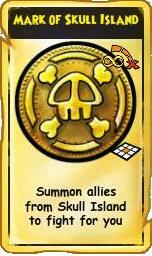 An Agility doubloon will stack with Cloud Spirit, a Movement doubloon will stack with Highland Charge, etc.. A word on the ability to “target” doubloons: basically, none whatsoever. All doubloons that do not affect an entire team will randomly select a target. This goes for Tower Shield and the magical attack doubloons (Volcano and Glacier will always hit at least one enemy unit). Also, you have no control over where on the board your summoned creature appears. Supposedly the order in which your doubloons appear is influenced by the order in which you place them in the “My Doubloons” menu. If so, the influence is pretty weak – I’ve gotten doubloons from my third and fourth pages as the first ones I draw, and regularly get lower priority doubloons interspersed with ones from the first page. 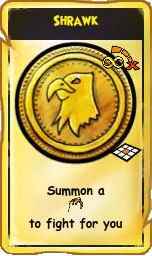 The doubloon ordering system has similar bugs to what used to happen with powers: random rearrangement of doubloons, inability to correctly reorder them, and the occasional complete scramble of the list. If you care, check your doubloon order regularly, and even then I have little confidence that the order being displayed really reflects the actual priorities. Swashbucklers score the best doubloons. Sluggish and the higher level Jackrabbit doubloons are extremely powerful, and can turn the tide of battle in a single turn. If you aren’t a swashbuckler, make friends with one soon. Love Your Local Swashbuckler Today! Musketeers also do pretty well. The Galewind/Hurricane/Maelstrom trio can keep opponents at arms length, and force them to negotiate your traps both coming and going. 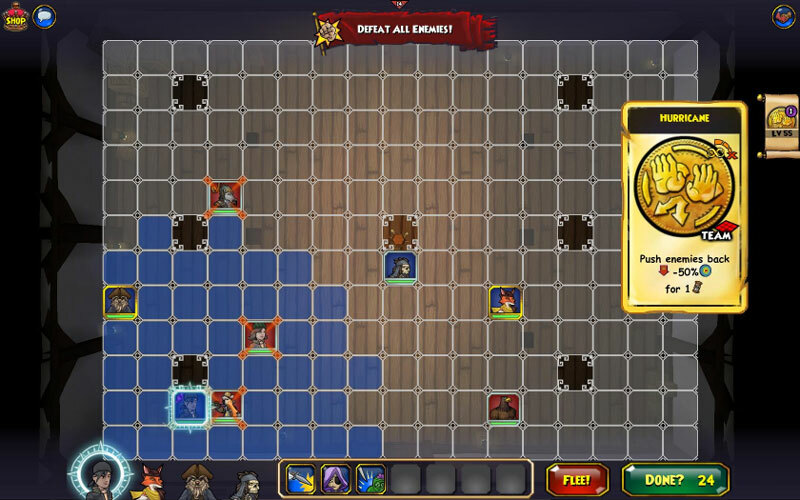 Allowing any pirate to play high level doubloons makes a mockery of lower level PvP. It becomes simply a matter of who can summon the most high level minions the fastest, or even kill all the enemy units on the first turn with a powerful Sudden Squall or two. Some limitations will have to be instituted as part of a serious PvP system. In a system as complex and random as doubloons, it is impossible to adequately test everything. If you see something new, or something omitted, let us know! 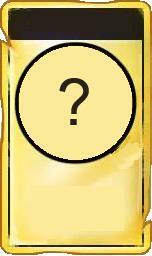 Post a screenshot of a missing doubloon! W101 Farming: You’re Doing it Wrong!